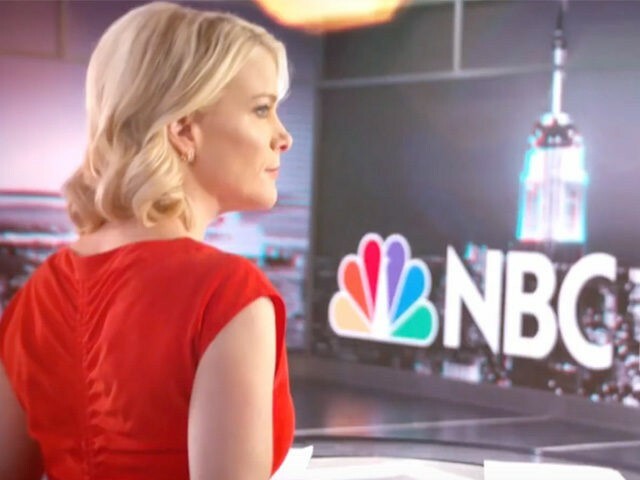 NBC News reportedly hired Megyn Kelly to take Matt Lauer’s spot on the Today show, but after Kelly’s disastrous first month at the network, Lauer is no longer on the hot seat, according to a Vanity Fair report. The puffy profile overlooks Kelly’s numerous professional and personality flaws and shortcomings, makes a litany of excuses for Kelly’s failures, and is not skeptical of NBC’s corporate spin regarding Sunday Night with Megyn Kelly’s terrible ratings. In it, Vanity Fair’s Sarah Ellison notes that the “silver lining” in Kelly’s disastrously wretched ratings may be that there are no longer rumors about Lauer’s job security. “Upon Kelly’s arrival, one TV industry insider told me that her hire ‘was all about replacing Matt Lauer in a couple of years. They want to protect the Today show and they will build the Today show around her.’ One month into her tenure at NBC, though, those rumors have quieted,” Ellison writes. Kelly’s debut show featured an interview with Russian President Vladimir Putin that did nothing to elevate Kelly’s stature for she seemed out of her league and vapid. It could not beat out a rerun of 60 Minutes. Her next show lost to reruns of 60 Minutes and America’s Funniest Home Videos. Her third show, which featured her interview with Alex Jones, was her most hyped and controversial. But her interview with Jones alienated everyone and made her looked “two-faced,” according to critics on all sides. Kelly came off as “two-faced” because she told the establishment media that she would be tough on Jones while palling around with Jones in sunglasses (The Hill‘s Joe Concha said Kelly and Jones looked “like they were on a Tinder date pulling up to a drive-thru”) and promising him that her interview would not be a “gotcha hit piece.” But when NBC, after advertisers fled and Sandy Hook victims denounced the network, edited the Jones interview with numerous distracting jump cuts that made the piece look like a deliberate hit job, Kelly again came off as “two-faced.” Her fourth show was her lowest-rated to date, as Kelly failed to beat 60 Minutes yet again in addition to losing again to a rerun of America’s Funniest Home Videos. Given the fact that, according to Ellison’s previous reporting, Kelly’s salary ($17 million annually) is probably “more than everyone on CBS News’s 60 Minutes combined,” Kelly’s ratings are even more disastrous. Kelly’s ratings have gotten so bad that New York radio host Mark Simone said NBC was looking to already unload Kelly and may even try to convince Fox News to take her back.